When “we” (meaning society as a whole) talk about pregnancy and miscarriage, we usually approach it from one of two angles—the heart-wrenching pain of a baby lost or the relief of a pregnancy that’s made it through that “danger zone” into the second semester. Talking about the fear of miscarriage while actually in the first trimester feels a bit taboo, as if we’re tempting fate or claiming the inevitable. If we’re really honest, sharing your pregnancy at all during the first trimester is a bit taboo itself (and it seems as if the number of people who wait to share their pregnancies has grown even in the past 12 years since my first pregnancy). I’m not criticizing anyone’s personal decision to wait—and I think it would be fun to keep it a secret that you share only with your husband, even if there is no way I can personally pull that off for more than 24 hours—but I do disagree with the cultural pressure to wait to announce a pregnancy in case you miscarry. I think that taboo has grown because it’s all a little bit embarrassing: What is wrong with me that my body can’t carry a baby the way it’s supposed to? How will people deal with my grief if I lose this baby when to them the baby is nothing more than a “potential human”? (Even Sean, who very much believes life begins at conception, has trouble attaching to our babies before they really begin to kick and roll and show their personalities.) And because, let’s face it, a miscarriage is a lot like a period, except your heart and your tiny baby are bleeding out as well. When I had my first miscarriage at 21 years old, while living thousands of miles from everyone and everything I knew, I was blindsided. Theoretically, I knew that miscarriage was a possibility, but I didn’t have much experience with it and I’d never spoken to anyone about their miscarriage. In fact, I can only think of a couple people I even knew had had miscarriages at that point. But honestly, I think we’re failing young wives and mothers—especially those who are the first in their peer group to get pregnant—by not talking about it more. They’re led to believe that they should keep their pregnancy a secret “just in case,” and they don’t know how to react when a miscarriage happens, especially if no one even knows they were pregnant in the first place. This is why my girls know about the babies we’ve lost. We’ve named them, we honor their place in our family, and we talk about them regularly—whenever the girls have questions, when we unpack or put away their special Christmas ornaments, when Father Day’s rolls around each year and I think of the four babies who were each due right around then. It’s why we tell our girls about our pregnancies right away, reminding them that some of our babies die and go to heaven before we get to hold them but choosing to celebrate their lives, however short they may be. If the cause of my miscarriages is genetic and my girls are more likely to experience losses of their own, I want them to have a framework for dealing with that early—not to induce fear and worry but to help them through the grief if it happens. So today I’m going to talk about it, about the fear of the first trimester when you’ve lost four babies already, about the panic and the tears and the worry. All of my miscarriages have started the same way: A spot of red blood on the toilet paper or in the toilet, followed by cramping and heavy bleeding within 24 hours. It seems a cruel irony to me, then, that the early months of pregnancy include an increased amount of vaginal discharge, the feeling of wetness constantly leaving me to wonder if I’m now bleeding. Despite the surprise of this pregnancy and the fact that we truly felt done and are still trying to work through some of the repercussions of adding another baby at this stage, I am head over heels in love with this little one already. 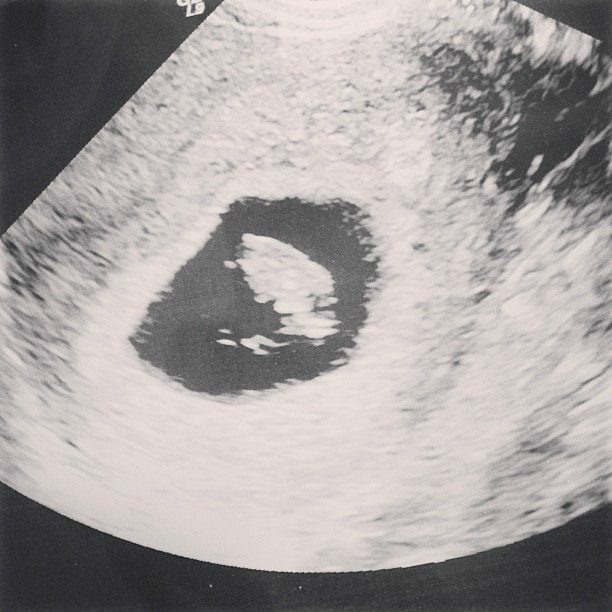 Not just the idea of another baby (and truthfully, if I miscarry, we probably will not try again) but with this baby. I am trying not to obsess over my symptoms and fears, but I lost my naivety about the guarantees of pregnancy a long time and many miscarriages ago. And while I can’t help but give this baby all of my love, my heart feels like it could shatter into a million pieces at any moment. I’ve found myself in tears more than once just thinking about the possibility of miscarriage, and I hold my breath every time I go to the bathroom, afraid that this is the moment I’ve been dreading. Truthfully, this pregnancy has been nothing like my others. It began with implantation bleeding (something I’ve never experienced). I’ve had cramping off and on from the beginning (something I’ve never experienced). And I’ve had spotting that has not turned into a miscarriage (something I’ve never experienced). While I did experience heavy bleeding from a placental bleed with my second daughter (who was termed an “inevitable miscarriage” but is now known as our miracle baby), the four times I’ve had spotting have all ended in miscarriage within a day. This time, I had some spotting over the weekend, but it’s been 6 days, the spotting has stopped, and I’m still sick and exhausted…symptoms I don’t take for granted. In so many areas of life, we have at least some semblance of control. We baby proof our homes, make rules for what our kids can and can’t do, weigh the risks and benefits of various activities to try to keep our little ones safe. We try to make sense of tragedy to reassure ourselves that it won’t happen to us. And deep down, I think we believe that if we try hard enough, if we do everything right, we can avoid it. But miscarriage isn’t like that. While I believe that folic acid might play a role in my own miscarriages, and doctors can sometimes prescribe progesterone to support a pregnancy, there’s often nothing we can do to determine whether a baby will live or die in the early weeks of pregnancy. Y’all, that’s hard. Each day, I vacillate between, “If I’m going to miscarry, please let it happen sooner rather than later” and “Please, no blood” every time I go to the bathroom. I want a list of rules, a list of things I can do to keep this baby safe and healthy and strong, but the rules that do exist—sleep on your left side, no deli meat, soft cheeses or sushi, don’t change the cat litter, don’t smoke or drink, and so on—haven’t played a role in my miscarriages anyway. In other words, it’s out of my control, and no matter how much I want this baby, how far I’m willing to go, my only option is to wait and see, with prayer and hope and fear and love all coiled together like a knot in my stomach. Maybe that’s why we don’t talk about it. Previous PostIs Too Much Cinnamon Bad for You? Next PostQuestion of the Day: What’s your best morning sickness remedy? Have You Thought About the National Debt Lately? I think some of us don’t talk about it because of the heartbreak. For me, it isn’t about culture or what is socially acceptable, it is more I could not handle one more time of falling in love and being crushed. I couldn’t escape my own pain. I couldn’t talk about it anymore because I couldn’t stand the look of pity from others or the sadness in my own eyes. So, I think that is just as ok to wait, not because of anyone else, but because I first was unable to love at conception. I just couldn’t do it again. As wrong as it may sound, that is what made me be able to get up each day and face the day. And.. I think that is ok too. Absolutely—I do think it’s okay not to share because of your own heartbreak (and I tried to say that…I’m so sorry if I left you or anyone else feeling otherwise!). I’m mostly thinking of all the young girls I know who don’t share during their first pregnancy because it’s just not done…and the reasons that *I* am tempted to keep it a secret. When I saw this in my FB feed, my stomach dropped. I am happy to see this pregnancy is continuing and pray for a healthy, happy addition soon!! My miscarriage was never followed by any other pregnancies but we knew that God had his plans and after much heartache, we are living the joys of being a family of 3. I agree that we need to talk about it. I was blindsided only to later be shocked with so many hidden stories of loss around me. Those early weeks and sometimes even the entire pregnancy are such hard times for many. I understand your fear although my story is different and I appreciate you putting words to it all. Praying for you, Mandi. I read once that most women miscarry a baby at some point in their lives though not all realize it. If it occurs extremely early, it may just be passed off as a period with bad cramping. I don’t know if this is true or not. I don’t even remember where I read it. But it’s given me pause more than once. I have not knowingly had a miscarriage, but what if there was a baby lost once and I didn’t even have the pleasure of knowing it existed? Wishing you and your newest little baby the best of health! Praying for you to have a heart and mind at peace. I don’t talk about it because I am put down immediately. Told that I’m stupid and to stop grieving a baby I never knew. I was told for 6 years I couldn’t have one. So when I ended up pregnant, I was so happy… I don’t personally know anyone that has lost babies. They’re all lucky enough to have kept every single one of them. I feel alone and I feel shattered. I pray for you and that little baby to come out healthy and happy. Shawna, my heart is breaking for you as I read your post. I pray that you will find someone with whom you can share this heartbreak, who will understand and encourage you. Thank you as well for taking the time to reply to me. it’s little things like this that make me smile. I truly appreciate it. Thank you. YOU ARE NOT STUPID! I don’t know who in the world told you that, but I can tell you are still in the midst of the grief of losing that baby and the subsequent responses you received, but I pray that you never listen to that person again. I hope you can surround yourself with loving friends and family and not that hate. That person is the exception to the rule, I promise you; it’s true that most people don’t know how to respond to hearing about a miscarriage, but most people at least will love you and hurt for you. I appreciated this post partly because of one positive thing I have taken from it and its comments: maybe the pain of my own miscarriage will be a comfort for someone else when they go through the same thing. I do know that when one of my friends found out I’d miscarried, it made her realize just how much she herself wanted another baby and despite her own miscarriages, has decided to take the chance and try again. Six years is a terribly long time to try, but I am proud of you for putting yourself out there for so long and trying so hard. The desire to be a mother is a noble goal, and I pray you will see that dream realized. Your comment brought me to tears. Not in a bad way. Thank you so much for having such a big heart. Thank you for taking time out of your day to write this to me. It warms my heart that someone, somewhere cares, and that someone knows that my baby MATTERED. I can’t thank you enough for what you said. Seriously. I’m speechless and beyond thankful. Shawna, you may not see this so many years after posting, but I want to tell you how precious and real your child was. He or she was unique and unlike anyone else in the world. You and your baby were connected very intimately, and it is so very appropriate to grieve the death of your child, no matter what stage of development. I am speaking to myself, too…My baby’s heart stopped three weeks ago, and my body finally completed the miscarriage last week. That was my first baby. I loved him and know I always will. The heartache is real. I wish I could hug you and encourage you…You are not alone, sister! Life is precious – and truly a gift. I have not experienced a miscarriage but several years of infertility and know well the love that grows so quickly when a life is inside of you. Thank you for sharing so honestly about the heartache! I pray that your words may touch many. I’m also continuing to pray for you and this unborn baby, too. Great post. I like that you’re tackling some tough issues lately, like vaccination taboos and miscarriages. It’s amazing that you never know what’s happening. When I miscarried, I had one little line of blood, and nothing else, so I was surprised when they told me I had miscarried. It was called a “Missed Abortion”. Essentially, my body didn’t discard the baby on it’s own and I had to get it removed. Yet when I was 8 months pregnant with my son, I filled up toilets of blood, and there was nothing tragically wrong. No placenta previa. No miscarriage. Just pockets of blood that had pooled and were now being released. He was completely healthy and delivered full term. Pregnancy can be such a mixed bag of emotions, and I actually hate the idea of hiding it all. I’ve felt immature or irresponsible for sharing everything immediately because of the stigma to keep it a secret until you’re past the danger zone. Glad you’re offering permission to feel together with loved ones. And all my hope for your little one!! I’m thankful more moms are talking about miscarriage now. In 2006, we lost our 6th child at 9.5 weeks gestation. I found that even when I tried to talk or blog about what I was feeling, many women did not want to listen much less have a discussion about miscarriage. One or two contacted me privately, but mostly it felt like talking to the walls. I do have to giggle about waiting to tell others. I always wanted to wait to share the news because I’m such a private person, but my morning (all day) sickness always gave me away! I so SO get the bathroom fear. Holding your breath every time you look down there, and breathing a sigh of relief when there’s nothing to see. The emotional roller coaster is exhausting! And, yes, nausea and exhaustion are strangely comforting! My mother had a miscarriage between my older brother and my sister and I (we’re twins), but I would never have known it if, years ago, my sister hadn’t spiritually discerned it (weird, I know, but there you have it) and asked my mom about it. My parents had a mindset of only sharing “need-to-know” information and thereby “protecting” us, which is a huge disservice to anyone growing up and trying to make sense of the world. And, really, it stunts our knowledge of the reaches of God’s grace. My husband and I intend to give our kids full disclosure of our heartaches, mistakes, sins, and everything in between that will point them to that grace and let them know that they aren’t alone. Take it one day at a time! God’s mercies are new every morning. Yes, I get this! We lost a baby at 35 weeks due to a rare condition and I’ve been keenly aware with both pregnancies since that a healthy baby is such a gift! I know all about those feelings of wondering if everything is okay and worrying about every little twitch and ache. I think sometimes the reason we don’t talk about it and avoid telling people we are pregnant is simply to protect ourselves. We don’t want to have to deal with the messiness if something happens. We want to be able to appear strong….we hate being needy. I think though, that there is so much freedom in talking about it. When there is loss, there is healing that comes from talking to people about it, healing that comes from having people acknowledge the pain. Yes, it’s risky to share about it because sometimes people respond very unthoughtfully to hard things like losing a baby. But I’d much rather live my life openly and face things full on. Blessings to you…and to your sweet precious little baby! Ps. I experienced a small amount of bleeding with 3 out of 4 of my babies. The Drs. think it’s a low progesterone thing. This was a great blog post. So heartfelt and so true. I feel the pain of the baby I lost in a miscarriage almost every day. It happened 18 years ago and I have three kids. We are not supposed to feel the pain but we do. Thanks for talking about it. Thanks for your honesty & for sharing. A few months after my miscarriage, I started to be more open and willing to share. I needed to grieve on my own for awhile, with just a handful of close family & friends for support. But, I agree it’s very important for us to share these struggles when we’re ready so other women can know that what they’re feeling is normal & to know who they can speak to if they go through a miscarriage. Another point I’d like to mention is the feeling of guilt I had when I miscarried. Because the pregnancy was unexpected, and I was just coming to terms with adding a new child to our already very busy home, I felt very guilty when I miscarried…as if my feelings had caused the miscarriage. That’s a lot of guilt to carry around. I’m so thankful the Lord is Healer… He’s healed my heart! Thanks again for sharing! I am so glad that you are sharing. I pray for you. I have lost 12 little ones that I so look forward to seeing in heaven. I have had 2 ectopic pregnancies my first and last. Have lost babies at all different stages. It is so hard. I have been blessed with 9 living children. So I feel so blessed to have them, but there isn’t a day I miss the others. We too have named our babies and talk about them. I have been pregnant with 4 sets of twins and 1 set of triplets and only 1 survived of all the twins and only 1 survived of the triplets. I pray peace over you because worrying isn’t good for you or the baby. When I would start worrying I would stop and tell God “ok God I am laying these fears on your alter I can’t have these please take them from me” Sometimes I had to keep giving them to him over and over, but I knew he was always there with me. I always shared from the beginning of finding out because no matter what they were a gift to our family. I feel it is sad to not tell others of your special gift. Children are a blessing. May the Lord carry you. Thank you for this Mandi. I can so relate to almost all of it and am very encouraged by your honesty and fatih through reading this post. Praying for your sweet little one tonight (and mine as well). I spoke of ny miscarriage at the time twenty years ago. My comfort came from an old lady at church who held my hand and told me of all the babies she had lost but never been able to tell anyone as she lived in an age of silence. Her obvious relief at finally being able to voice her experience, and the sharing our sadness together was very valuable to me. Thankyou for sharing too. I have never miscarried (that I am aware of) and so I can’t relate exactly, but as a woman who wants to shelter, manage, and yes, control my environment and body, to keep all those I love safe and secure (and to keep my heart from being broken) I completely understand this post. The really scary thing is that we can do all the right things and bad things, painful things, will still happen to us. I think it’s sad (though I respect people’s decisions to do so) to keep pregnancy a secret for the first trimester out of fear, the fear of having to explain your loss if you miscarry. Why can’t both be shared – the joy and the pain? This reminds me of Brene Brown’s book Daring Greatly. She talks about short-circuiting our joy as a means to shield ourselves from vulnerability. And what we lose in this is the full experience of our joy. She calls it “foreboding joy”. Anyway, although I am sometimes at a loss for what to say when I know someone has miscarried, “I’m so sorry” is really all I have to offer. I’d rather know they were experiencing a loss instead of thinking “everything’s ok”. All I can say is, yes to everything you wrote. “Foreboding joy” is exactly it. And when I had my miscarriages, a hug and an “I’m sorry” was much better than some other things people said (things like, “well, you weren’t too far along” or “you’re young, you’ll have more.”), though I know they weren’t trying to be insensitive or anything. This turned into a bit about me and I hadn’t planned to go there. You are right Mandy it should be talked about. I guess where I’m coming from is whenever someone is, for want of a better word, well enough to do so. I also, not sure if they have this Noth America but in Australia, believe there should be a pamphlet or booklet with contacts, what to expect, if something is wrong when to come back to hospital, etcetera. With the first miscarriage we were basically told to wait it out. No take it easy, it may be a lot heavier than a normal period, this or that may happen. I don’t know what we would have done without Dr Google. So, I’m not sure if that’s one of the things you mean, but I really feel that this is what’s needed to be talked about/communicated too. I didn’t even tell my in-laws when I had my second miscarriage because they’d treated me like I was defective the first time around (it may have been innocent and unintentional but it hurt SO MUCH). I felt so embarrassed and ashamed. You put how that feels into words so eloquently in this post. It has taken years for me to come to terms with it all (and the resulting anxiety, which in many senses was far worse than even the miscarriage was) and to be able to talk about it — this post brought an added measure of peace. I’m trying to be open about it now because I felt such isolation during my first miscarriage. I didn’t have anyone to talk to. The second time around I had someone, a dear friend from church, who had lost three babies to miscarriage. She just got it and could tell when I was struggling because she’d walked that same road before. Having her there as I struggled made all the difference for me. I hope that I can help someone else feel less alone someday, just as you have with this post. We women truly need each other, especially when things like this happen. This article is referencing how talking about pregnancy in the first trimester is taboo and how we “try hard” to do everything right, inevitably learning over and over again how life is out of our control. We are simply at the mercy of God. I think of my own experience and how this time I talked about it right away, in the midst of all my fear and doubt. I wish I could say that my fear has subsided as I head into my third trimester. I wish I could say that I am embracing this better these days. But the truth is, I am not. I am a snob to the world and acting stuck up in not wanting to talk about this. I start to and then I reel back in fear. The longer I hold this baby and feel him grow and talk about him as a part of our family now, the harder it is to walk in faith. As much as all my friends give loving advice to “rest” and “not fear” and all that, I remain an imperfect human being with real feelings who has wrestled this dream hard for nine years and I am only now beginning to unwrap the gift. It’s taking me time, y’all, and I know that I’m not alone. ” . . . no matter how much I want this baby, how far I’m willing to go, my only option is to wait and see, with prayer and hope and fear and love all coiled together like a knot in my stomach. I can relate to the feelings – I lost 4 very early and then just recently (January) lost my baby in the 5th month and that was harder than any I had ever experienced and I’m still grieving. I do have 2 (living) children, an 11 and 2 year old. I’m afraid to try again and I know when I do, I will have those fears when going to the bathroom and every cramp or twinge – this past pregnancy was stressful. I love this! I have had two miscarriages–the first time we told “too many” people, but we had been trying for 18 months and we were over the moon. After our miscarriage we had to explain, even encounter those who had heard about the pregnancy through the grapevine but hadn’t heard about the miscarriage until they congratulated us. So when I got pregnant a second time in October, we didn’t tell as many people. Only those who knew we were going in for an IUI knew that it was, for the moment, successful. And I miscarried again. The people I know who have miscarried all went on to get pregnant quickly–I’m still waiting. Next month will be two years since my first miscarriage. I wish it wasn’t taboo to talk about it, because I haven’t ever felt fully supported. 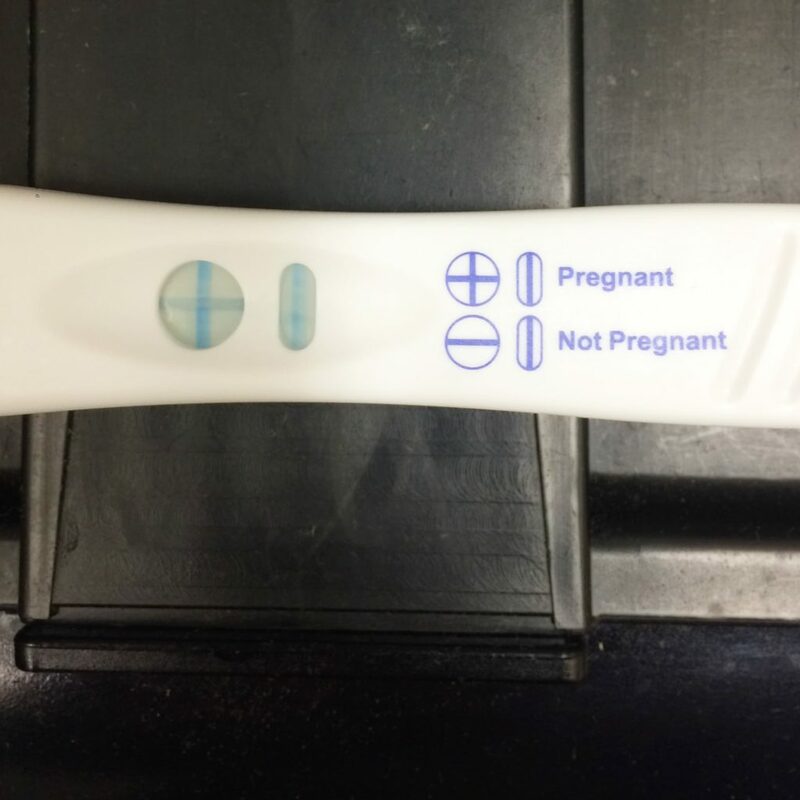 It was fine and dandy to talk about my pregnancy early, but my miscarriage seems to be another story. Almost 40 years ago I too had a miscarriage. We had been trying for a while and had been told we would not have children. So we pursued adoption. When we learned we had a little one on the way we were excited but cautious who we told as that was the way it was then. So when we lost our little one, few people knew. I was told by the doctor to move on – keep busy- I was teaching at the time and I did. I had never heard of anyone I knew who had had a miscarriage. Later, I fell apart grieving but with no one to talk to about it. Miscarriage was not talked about. Years later I heard a tape-fell apart to the surprise of the two others in the carpool. I was encouraged to name our baby. . . I still miss our baby – tears fill my eyes now. I’ve never grieved over my miscarriages. But that’s my very pragmatic outlook on life. Particularly when women who have lost much later in pregnancy, or lost one of a set while pregnant, or the worst imaginable – lost their child anytime after it was born- have it much worse than me, with a high potential for loss just statistically speaking. I think we should all be more open about miscarriages as well, then maybe more would feel comfortable with their loss(es) and not as likely to question “why me” as much. Thanks for sharing this and congratulations! Before it happened to me with my first pregnancy, I knew in a vague kind of way that it was a painful experience, but I had no idea how traumatic it would be. My doctor had been through it twice with his wife, and was so incredibly sympathetic and understanding. He said that we weren’t really grieving for the 7 week “olive” that we had seen on the screen with no heartbeat, but rather for the baby we were already planning for 7 months in the future. I think that helped me realize that it was totally acceptable to fully grieve a baby I had never met and had only known about for 3 weeks. I’m now pregnant again and 13.5 weeks along, so past the riskiest part of the pregnancy. I’ve definitely been hesitant to share with people, knowing that I could have to share horrible news later on, but I’ve been reminding myself that the more people praying for this precious baby, the better! I love this so much. I had a miscarriage at 20 weeks in 2013. It was a very depressing time in my life and I didn’t have anyone to talk with or connect with. I am now 7weeks pregnant and just today had some bleeding. I am trying not to stress, keeping myself calm. Thank you for sharing your story. Vera – I’m reading your comment 4 days after you posted. I truly hope your bleeding has stopped and all is ok. It is important to talk and write about miscarriage. Thank you for doing so. It is courageous. Do speak of only what you have experienced and qualify if you don’t. The “let’s face it, m/c is a lot like a period”. This is misinformation. That may be your experience of it physically. I have had 5 miscarriages and yes, two were a lot like a heavy period. Three were not anything like a period. After 14 weeks, you are delivering a baby. Even an earlier m/c that doesn’t fully abort is having grey discharge coming out of you for weeks and weeks, no blood, just matter. I wouldnt want a women thinking a m/c is physically a lot like a period because often it is not. Hi Andrea! Thanks for commenting and sharing your experience. I’ve never heard someone describe a miscarriage that way, so it was one of those cases of not knowing what I didn’t know (and I do wish that there was a different term for an early miscarriage and a later miscarriage because I do think they’re different experiences in a lot of different ways—physically, emotionally, etc. ), but I appreciate you adding it to the conversation, and I’m so sorry about your losses. My first friend to become pregnant announced a pregnancy of 12 weeks about a year ago. And, two days later, she announced a miscarriage. They waited till the first trimester was through to “play it safe.” And, I don’t think that’s a bad thing, but I’d also like to say that there is no guarantee at any point in pregnancy, or life, that we’ll have tomorrow. Letting go of control is always what is best. Great post! I loved it! I am 10 weeks pregnant with Baby #2 and the fear of miscarriage has been so present in my mind. My first pregnancy was textbook perfection. I had a beautiful labor and delivery, and now I’m the proud mama to a vivacious one year old girl! BUT in that time of my first pregnancy and this last year with my daughter, so. many. of my friends have experienced miscarriage, or the threat of it. 1 in 4. That could be anyone, at any time. Like you said, I think we are uncomfortable when we’re out of control, but that discomfort makes us cling to Jesus. I pray for my babies everyday, loving and trusting that God will always know best whatever the outcome. <3 Thanks for writing so openly about your loss, helping us all understand how to process miscarriage and love on those who have walked it. When I had my miscarriage it was so difficult. I can relate to the bleeding being somewhat like a period. I was 9 weeks and had some mild cramping the night before but woke up and felt great. I was up getting lots done and went to the bathroom and wiped and there was lots of blood. I never had any pain just bleeding. It was terrible, I would think “maybe I just made up being pregnant in my mind and this is really just a period”. I think the worst part was that I never “saw” a baby. I delivered what looked like a blood clot and that was it. The one thing that I did notice was that the blood smelled different, just like it does when you are postpartum. Miscarriage is a difficult thing and different people handle it different ways, some want to talk about it and announce their pregnancies early and some want to wait and that is okay. What’s even harder for me than talking about my miscarriages, is sharing pregnancy stories when the topic comes up among other mothers, only to see them cringe when I have to explain that the pregnancies I’m telling stories about ended in miscarriage. I’m not trying to make anyone feel awkward, but I would like to be able to share pregnancy stories, and I don’t have any that lead to live births to tell about. Thank you Mandi. I don’t think people are trying to be unkind, but pregnancy stories with bad endings are understandably viewed as sad, and I guess it’s hard for people to be able to separate the sad aspect with just letting it be another mother comparing notes about pregnancy symptoms, etc. But from my point of view, chiming in on pregnancy stories is the only way I can share in comparing notes about biological parenting, and that’s why I do it, not because I’m trying to make people feel awkward or offer condolences. It’s just a tricky situation Now that my (adopted) son is older, the pregnancy stories don’t come up as often, so it is getting easier. Thank you for sharing your experiences. In 2013, I experienced three ectopic pregnancies, all ending in miscarriages, within a six month time frame. With the third, I had to have surgery just before Christmas to remove my fallopian tubes. Some days, I wonder which pain is greater, the loss of my third, fourth and fifth children, or knowing I can’t have any more. My boys know they have younger siblings and we have named and discussed them as you have yours. Knowing there is another mother who has done this, that I am not the only one to give her lost children names, is comforting. talking about them is comforting and healing. I wish more people could know that.